When your guests are having as much fun as they do at a MyDeejay event, you’ll want to capture their energy and excitement with photobooth images! We’re often asked to provide photo booth services for our clients and we are happy to help! As with our options for uplighting, we believe that it’s best to hire an experienced professional who specializes in the specific service you need. After all, you wouldn’t hire your florist to be your DJ, and (hopefully) you wouldn’t hire your DJ to also be your caterer. Instead of asking our DJs to divide their attention between providing top-quality music and being a photo booth attendant, we’ve partnered with several local photo booth companies who offer high quality photo booths to provide an exclusive discount to MyDeejay customers. Full-Service Open-Air Photo Booth – The most popular option for our clients, this standard photobooth includes 3-4 hours of service with a dedicated attendant, props, a backdrop, and on-site photo strip printing. Options include photo guestbook, custom props, custom backgrounds, custom branded photo strips, and more. 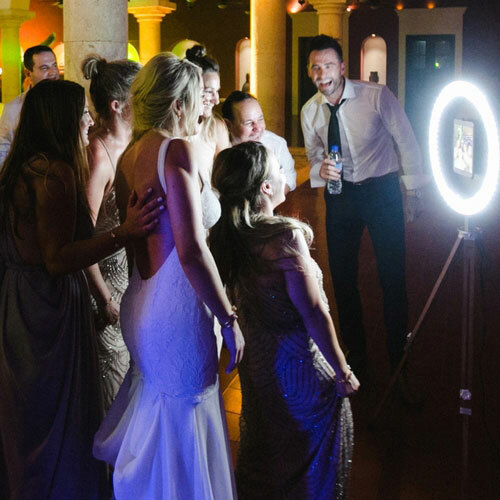 Wireless Animated GIF Photo Booth – A very cool option for events with limited access to electricity or WiFi, this free-standing booth is 100% battery-powered and has its own dedicated internet connection to send your guests digital files immediately! 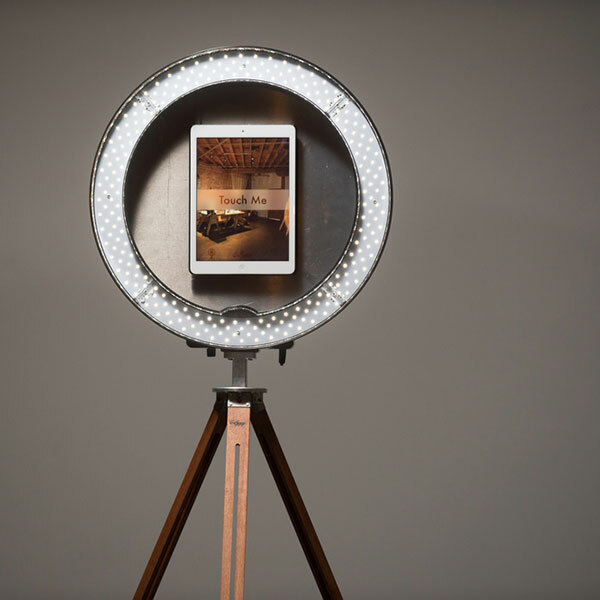 Mirror “Selfie” Photo Booth – A premium photo booth option, this large “mirror” photo booth is always a hit! Includes an attendant and on-site photo strip printing. Options include props, customized branding, and more. “Classic” Closed-Style Photo Booth – Looking for that “classic old-school” photobooth you remember from your youth? This throwback photo booth looks like an original booth from the 70’s or 80’s but has all the latest technology inside! If you are interested in getting pricing options from our photo booth partners, please let us know when you fill out our contact form to check availability for your date. Please note that discounted pricing for photobooths (and uplighting) are for MyDeejay customers only – you must book us for DJ services in order to receive the discount from our partners. Additional travel charges may apply for some MyDeejay partner services depending on your wedding location. We look forward to speaking with you!